Open Car Carriers have been around for a long time transporting vehicles. This is by far the most popular and known way to transport a vehicle. 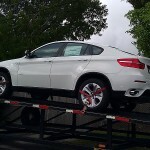 You most likely have seen an Open Car Carrier on the road transporting vehicles for a dealership. Open Car Carrier come in different sizes. 11, 10, 7, 4, 3 and 2 car hauler. All these carriers are used cross country or some of the smaller ones for shorter routes. Most vehicles: Sedans, SUV’s; Pick Ups, Vans & other autos travel on open car carriers. When you ask for a quote from us, unless you request another options, you will receive an open car carrier rate. Most of the times they are able to come straight into your neighborhood or right to your door step. If laws or the size of the streets do not permit, they are able to meet you a short way from your delivery location. If you are moving and do not have a specific addresses yet, not to worry, we can meet you a local landmark or shopping plaza of your choosing. All we need for pick-up and delivery is for you or someone you have assigned to meet the driver with the keys and sign off on the vehicle pick up or delivery. No other paperwork required, such as vehicle registration or title. Enclosed auto transport trailers protect your vehicle from the elements of weather, road debris, dust, and oil. Ensuring your vehicle will arrive in pristine conditions. Enclosed auto transporters are also climate controlled; your car will be just as protected from heat or ice as if it was parked indoors. Another important advantage of shipping your car enclosed is that these trailers accommodate fewer vehicles than an open car carrier, so the transit and delivery times are usually shorter due to a more direct route with fewer stops. 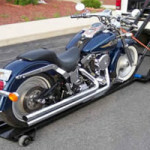 Many people who need to ship exotic vehicles, collector cars, race cars, exclusive vehicles, motorcycles also choose an enclosed car carrier because of higher insurance coverage. Auto Transporters are insured in a total load basis, therefore the fewer the number of vehicles, the higher the coverage per car. Open car carriers transport up to 12 vehicles, but enclosed auto transporters can accommodate a maximum of 6 vehicles, raising the coverage to double the normal cost. Customers that need to transport very costly vehicles can also purchase additional insurance at an extra cost. 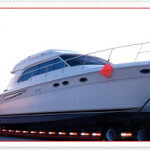 As a full service transportation provider, Car Shipping America offers complete shipping and logistical services, including domestic and international shipping of cargo, vehicles, trucks, machinery, project cargo , and boats. We ‘ll take care of all documentation, customs validations when required, permits, and/or additional insurance for the shipment and transportation of your asset.